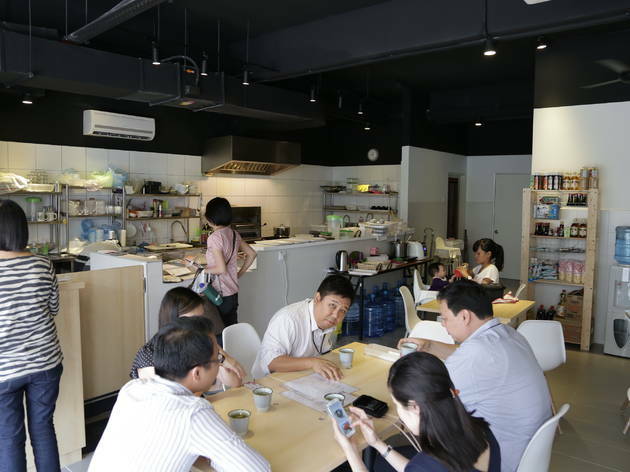 The monarchs of Japanese dining in KL – haughtily led by the likes of Kame Sushi – may never go out of fashion but sometimes we’re allowed to say, ‘three cheers for the mid-range Japanese restaurant’. 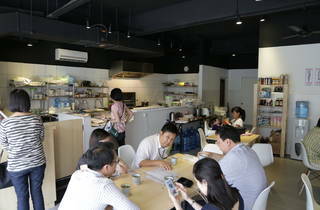 There aren’t many of these in KL, but an entry like Uokatsu makes you wish for more. Here, appreciation of quality produce and an unpretentious evening can exist concurrently. On a Friday night, I appear without a reservation. Much to three other couples’ and my chagrin, there’s a line. Dining customers look out at us from behind the glass doors with a perverted sense of pity. Thankfully, tables clear out fast and a spot is secured in less than ten minutes. It becomes my turn to stare at diners-to- be that wait with hope. Oh, the cycle of a Malaysian diner. No time to be romantic for the mentai rice must be eaten. 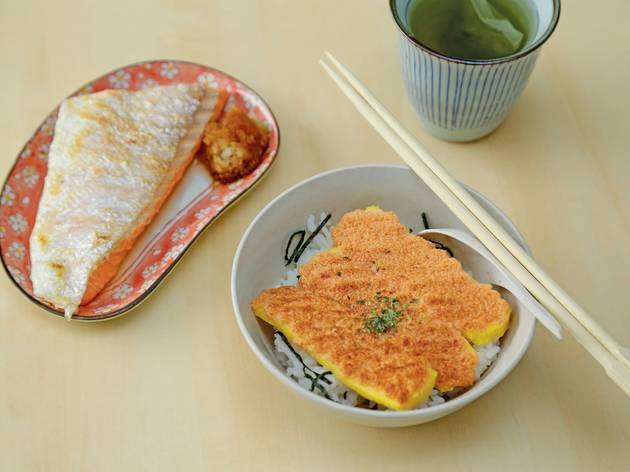 It’s mentai on egg on rice, the holy trinity of a good time. Apparently, it’s also the ghost of Fukuharu’s once-beloved mentai sushi. 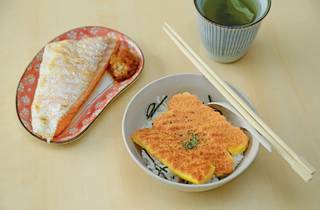 The egg appears stiff and accurately rectangle like a yellow Lego piece, its surface burnished and bumpy from the marinated roe. 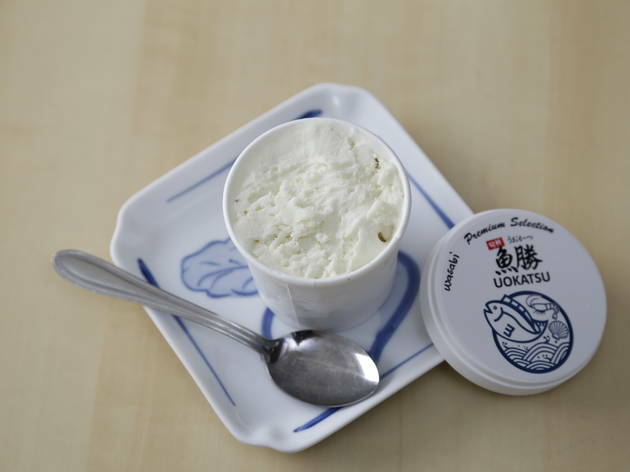 In one bite, the mentaiko is salty and creamy, the egg sweet, and the rice sticky and heavy. 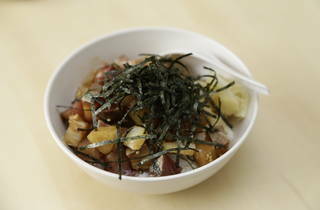 The message of comfort introduced by the rice bowl extends quite excellently throughout the meal. The grilled ocean trout is sufficiently tender; its oil gush out as the flesh is flaked. Next to it is a mound of grated daikon in soy, a necessary foil to the richness. The sashimi I ordered are on par as that from a premium kaiseki meal, especially the scallop. Its bite is both yielding and firm with creamy tones, like barely-cooked octopus that’s been massaged with utmost care. The belly of amberjack too is treated with similar love, its natural sweetness heightened when cut at an angle into pale slabs. The splurge of the night is uni, sold quite impressively by the one of the staff (‘we have special uni today, ma’am’). It’s a small dollop of orange slime at RM46. But smooth and slippery on the tongue, it’s all you need. It’s also a good reminder to always go for the daily specials when at Uokatsu, the off-menu deliveries at their prime. Before a reluctant departure, it’s best to pick up a punnet of wasabi ice cream from the freezer. Made in-house, it’s a dessert that gnaws at you. The initial sting of horseradish is agonising, but dissipates quickly, leaving the palate empty, dry, longing for more. It’s a cycle of regret and relief, spoon after spoon. And with that, Uokatsu reminds us just how long a way a stimulating meal can go.